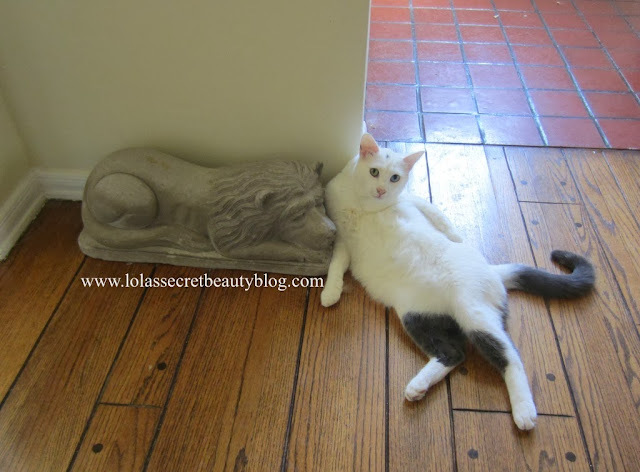 lola's secret beauty blog: Happy Friday from Zeus the Odd! Happy Friday from Zeus the Odd! oh Zeus, how cute he is!!! Have a wonderful Friday and weekend as well, Lola!!! I read and enjoy all of your posts, but for some reason I only(?) end up commenting on the kitty ones. This picture, for instance, made me laugh out loud and so I just had to comment. Zeus is such a character! Hahaha Zeus is such a funny kitty! Have a great weekend, Helen and Zeus!